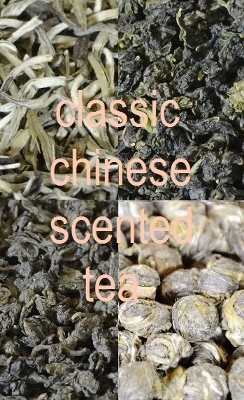 Particularly noble and elegant jasmine tea variant of the Chinese white tea classic. Pure white tea buds from Fuding count, Fujian province, naturally scented with freshly picked jasmine flowers. The sheer wealth of intensive, lovely sweet and floral taste notes is owed to at least 5 rounds of scenting, each time with new jasmine flowers, which for best taste of the resulting are carefully sorted out again at the end of the scenting process. A variety of legends ranks around the making of Milky Oolong Tea, a tea specialty from China and Taiwan that enjoys high popularity both in its countries of origin and in the west. At this, the quality spectrum is a broad as the range of possible basis teas and aroma donors used for the scenting. This is why a high grade Taiwanese Jin Xuan oolong tea and 100% natural milk aromas make our Jin Xuan Milky Oolong Tea one of the best of its kind. For more information and illustration please see the detailed product description below. Ginseng Oolong is a classic Chinese blend of a medium-oxidized Oolong tea and grinded Ginseng root. While the first infusion of this classic Chinese tea specialty originally known as a herbal remedy in traditional Chinese medicine is dominated by a spicy-sweet taste strongly reminiscent of laquorice, a second infusion mainly displays the equally pleasant flavor of the high grade basis Oolong tea. Spring Imperial Dragon Pearls are a local Jasmine tea specialty from Fuding county, Fujian province, Chan. Basis of our Spring Imperial Jasmin Dragon Pearls is a high grade green tea picked in spring with a picking standard of 1 + 2. The green tea leaves are scented at least 4 times with freshly picked jasmine flowers, before they are rolled into the characteristic even-surfaced ball shape after carefully sorting out the jasmine leaves again at the end of the scenting process.